Ever wondered what celebrities get up to on flights? Yes us to, that’s why with a little help from our friends at Bookajet, we have rounded up some of the top on flight celeb stories for you to have a little chuckle at. Apparently Donald Trump’s ex-wife, Ivana, doesn’t like noisy children on planes. How does she deal with it? By allegedly acting like a noisy child herself. In 2009, on a plane bound for New York, passengers and staff reported that she was so annoyed by the screaming children, she got hysterical and then swore at a little baby. Charming. Cruise is known for doing his own stunts. But in his latest movie ‘American Made’, he takes cinematic daredevilry to new levels. In an interview with Yahoo! Movies UK, the director, Doug Liman, claimed that Cruise not only piloted a plane ‘low to the ground’ (a dangerous stunt in its own right) but also left the cockpit to throw stuff out from the back as the aircraft was flying! He was on his own in the plane. Insane! How do you say thank you to your husband for being such a wonderful father to your children? Buy him a set of golf clubs? Take him out for a meal? Not in Beyoncé’s world. She splashed out fifty million dollars on a private plane for Jay-Z. Apparently the Bombardier Challenger 850 can hold up to 15 passengers, and includes a living room, bathroom and bedroom. 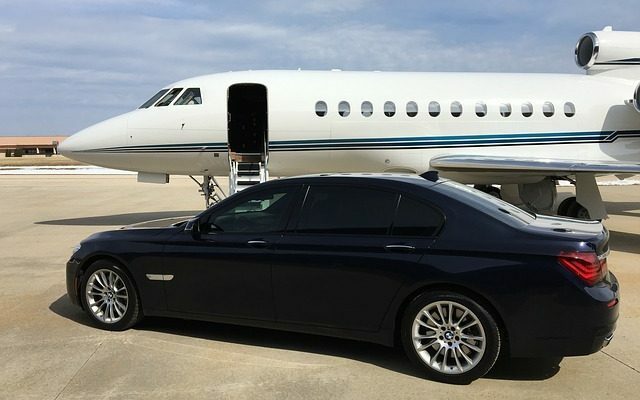 According to some reports, Kim and Kanye West have forked out ten thousand dollars for a ​JetSmarter annual membership, which is essentially a form of high-class travel pooling. They sometimes share flights with other rich people. Apparently Kanye loves to talk about wealth, property and watches. That’s it, Kanye, keep it real. For those of you too young to remember, Marti Pellow was the front man for the pop group Wet Wet Wet in the early 90s. As a global sensation they toured the world in lavish style. Recently, Marti confessed that he used private planes to fetch him food from his favorite curry house in Glasgow. It would be delivered to him wherever he was in the world. This comedian is known for his quick-wit. Though it’s probably not as quick as his private plane, the Gulfstream V. At a cool thirty-six million dollars, this aircraft can fly up to speeds of 941 km/h which is nearly the speed of sound! It’s been reported that he likes to use his own aircraft in his films. Talk about jetting your own way! In 2014, the classy Amy Adams was on a flight bound for LA. She did something that amazed everyone: she gave her First Class seat to a US soldier and took his economy seat instead. It was something she’d always wanted to do. Even more amazing was when she shunned publicity for the gesture. What a woman. After completing her first ever solo tour in 2016, The Duchess of Cambridge flew back to blighty on a commercial British Airways flight. Apparently the hoi polloi were stunned to see a royal figure stroll onboard like a normal person. However, when it landed, a private car was waiting for her on the runway. Not quite normal person, eh?